Renovation of public areas of existing 4,000 sf office space including reception and pantry to create more welcoming environment and improve functionality. Project also includes selection and specification of new furniture, materials, and finishes for all offices and conference rooms. Spacesmith began by evaluating multiple buildings while working with Abrams to come up with new workplace standards that could accommodate its staff and provide the collaboration spaces and other support amenities that were lacking in their current space. Multiple workplace strategies were looked at and ultimately Abrams chose to put its staff in a 90% open workplace. 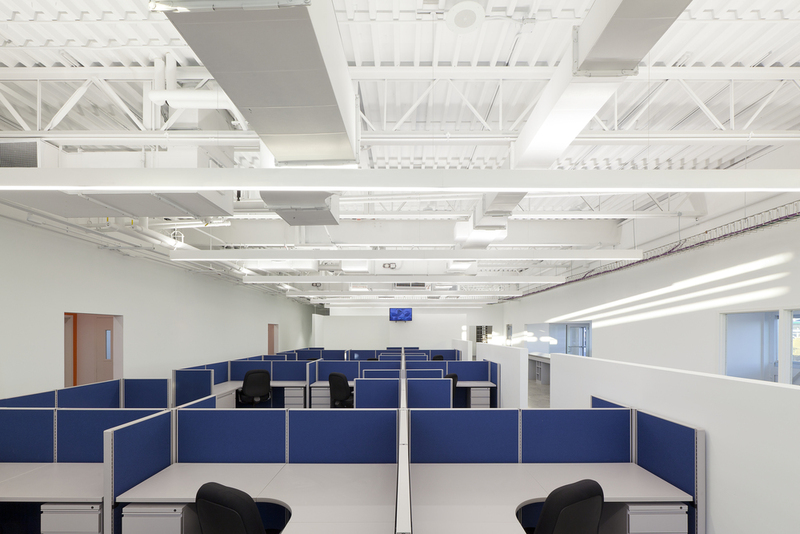 To manage this 90% open plan, Spacesmith worked closely with Abram’s leadership team. Town Hall meetings with the CEO, strategy sessions, and showroom tours contributed to make a smooth transition from office to open plan. Abrams Books, with whom Spacesmith has had a long relationship, gave our company an exciting challenge: to design a new headquarters that reinvented the way its staff use space and provide architecture that speaks to its new branding initiative. The Abrams headquarters design concept was driven by the collaboration that takes place at Abrams, as well as their product. The new space is an open work environment with several private working rooms for small groups, a full library, reading nooks, and over 600 linear feet of shelving and book displays. As part of the Company’s goal to reduce the environmental impacts of Avon buildings worldwide, sustainable materials were implemented in this design that contributed to the new headquarters achieving LEED Gold certification. The Company Store includes state of the art merchandising and lighting technology all integrated into a built environment that is adaptable to the Company’s ever changing merchandise. The product shop, situated off the main reception area, reflects the brand of Avon as the company for women. This self-serve store for employees includes advanced merchandising and lighting technology all integrated into a built environment that is adaptable to the ever changing merchandise. Spacesmith combined the tradition and history of Avon with a more contemporary image by creating a warm, welcoming environment that is gracious, efficient, and functional. The design is light and spacious allowing views out and daylight in through glass walls and open vistas. 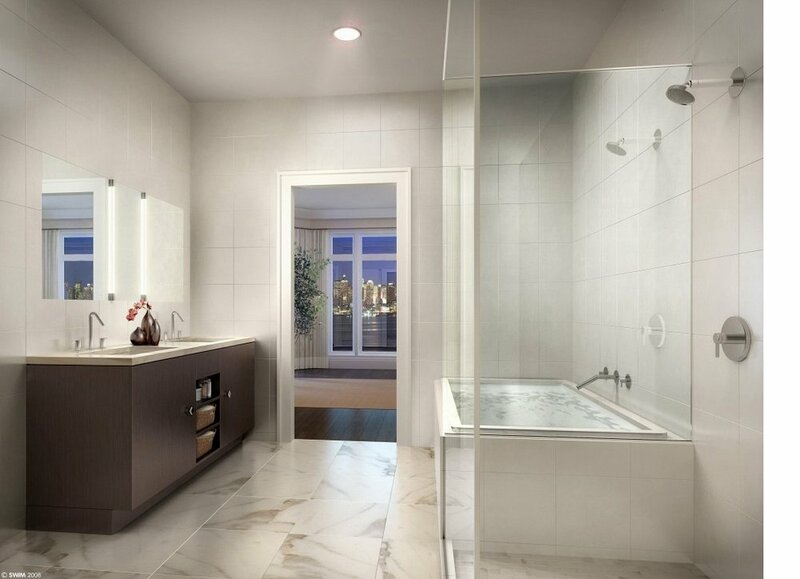 A clean, modern luxury permeates the space. Hand cast, resin, feature walls delineate public and private zones. The design of this highly visible space reflects Avon’s mission and image: sophisticated, understated, and natural. The Image Room is part of Avon’s Marketing and C Level Executive Suite. Avon wanted an elegant yet comfortable living room feel with all the accoutrements of an executive conference room. Spacesmith designed this comfortable yet corporate meeting place for entertaining out of town executives and guests. The space includes reception, private areas, meeting spaces, two terraces with outstanding views of midtown Manhattan, a bar, pantry, and themed environmental graphics based on corporate brand guidelines. As part of an ongoing on-call services agreement with one of the country's leading financial institutions, Spacesmith, in partnership with Davis Brody Bond, renovated and expanded the client's 9,200 sf Philadelphia office into an adjacent 6,600 sf of tenant space on the 16th floor of the Cira Centre. Continuing our relationship with Paris based children’s clothing company Bonpoint, Spacesmith has completed the design of their new 1,100 sf boutique in River Oaks Shopping District, Houston, Texas. The goal was to create an interactive experience for customers and their children through a succession of imaginative rooms filled with fun and fantasy. The renovation also included the boutique's façade. Bonpoint is a high-end children’s clothing company with over 100 locations worldwide. 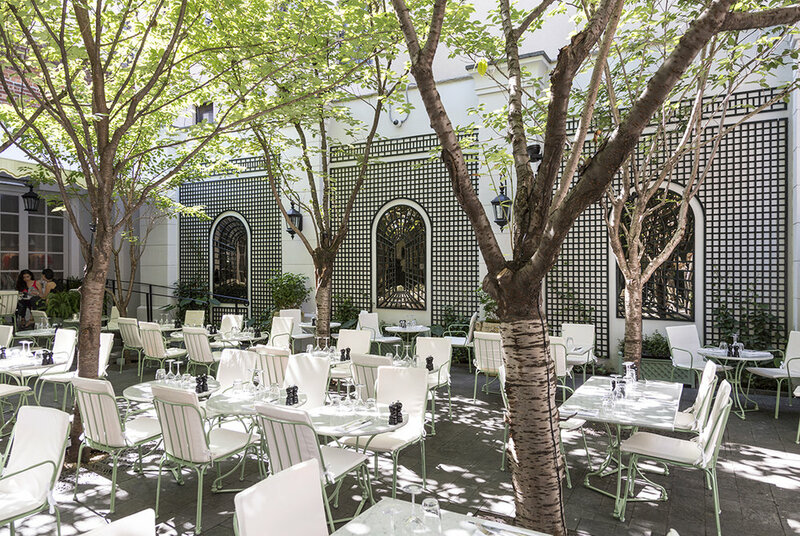 As part of their US expansion, the Paris based company selected a 22,000 sf retail space in a landmarked building in Soho as their third NYC location. Spacesmith collaborated with their design team to establish the overall layout and customer experience. Boston Properties selected Spacesmith to develop test-fit tenant suites for one of their under-performing office buildings. The design team developed alternate layouts for single and/ or multiple tenant floors. The layouts are clear, efficient and make great use of the building’s modern features. Spacesmith created an inviting, modern, and efficient office layout for this nonprofit organization. To increase the natural light penetrating the space, floor to ceiling glass was used at perimeter offices and open-plan workstations with low dividing panels were utilized for daylight sharing and to foster ease of communication. Spacesmith is teaming up once again with Breaking Ground on the renovation of their headquarters. We are proud to support this important non-profit as they continue on their mission “to strengthen individuals, families, and communities by developing and sustaining exceptional supportive and affordable housing, as well as programs for homeless and other vulnerable New Yorkers." 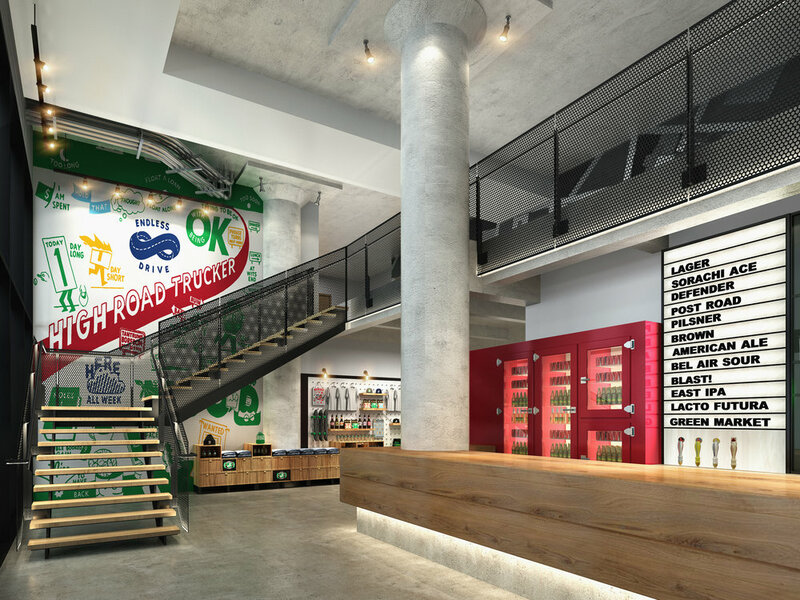 The Brooklyn Brewery was planning on expanding into the newly renovated Building 77 in the historic Brooklyn Navy Yard, leasing 75,000 sf of space in the one million sf industrial warehouse. They planned to open a brewery on the ground floor, a beer garden on the roof, and offices on the 9th floor. The Brewery was also planning to expand its brewing operations at another location. 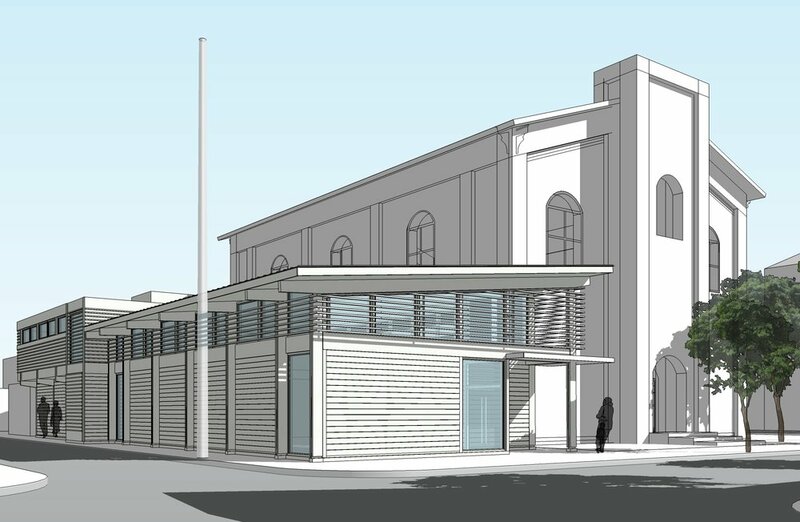 Spacesmith conducted a feasibility study and then lead the design of the adaptive reuse of a historic building for the BBP offices. The first floor was gutted to reveal the original structure. Ceilings and columns were left exposed to create a loft like feel. The façade was opened between the structural bays to bring in natural light. Spacesmith with partner firm Davis Brody Bond transformed a forgotten riverside stretch of dirt and rubble into a colorful recreational destination for children and adults. 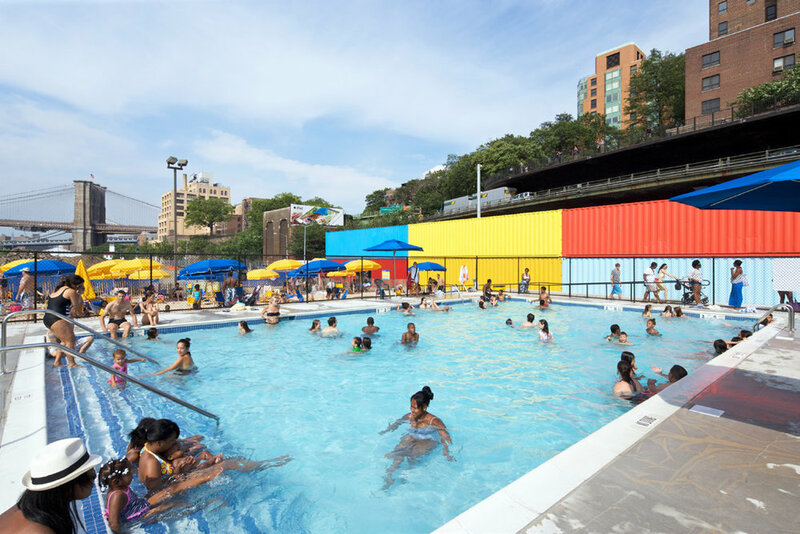 The Brooklyn Bridge Pop-up Pool has become a popular oasis to escape the heat scape the heat, provide active recreation, promote water safety with swimming lessons, and have fun. Rising off the greenway to the uplands of Pier 2 at Brooklyn Bridge Park, the pool is complemented by a 2,500 sf sandy beach area planted with saw-grass to enhance the waterside environment. Families can lounge in comfortable beach chairs under colorful umbrellas. An adjacent plaza decorated with bright graphics contains picnic tables and more umbrellas for patrons to enjoy food and drinks from the concession stand. Amenities such as showers, restrooms and lockers are also provided. Repurposed shipping containers painted in bold, primary colors provide storage space and buffer the noise of the BQE and nearby roads. Proof that the simplest of materials can enliven any space, the Brooklyn Bridge Pop-Up Pool provides a great escape and place for the community to gather and relax. The pool was planned as a temporary amenity for only five seasons but due to it’s popularity, and with a push for local politicians, it’s tenure was extended for two seasons, through 2018. The community is now trying to secure a permanent location for a pool in the Park. Design of 20,000 sf of office space including new communicating stair, private offices, open plan work stations, conference rooms, pantries, counseling rooms, and multipurpose spaces that function as training and class rooms. Spacesmith was retained by Brooklyn Community Services, (BCS) (formerly Brooklyn Bureau Community Services), in early 2007 to undertake a strategic analysis for two adjacent properties owned by BCS, 285 Schermerhorn Street and 306 Livingston Street, Brooklyn. The purpose of the analysis was to determine the highest and best use for the properties, as well as to explore planning options to meet the programmatic needs of the changing BCS administration, operations and programs. Spacesmith lead a team of engineering, code, zoning, and real estate consultants to investigate, analyze, and provide recommendations to BCS. Spacesmith is collaborating as executive architect with design company Studio Mellone and historic building consultants Higgins Quasebarth & Partners on the 7,000 sf renovation of fashion icon Carolina Herrera’s Madison Avenue Store. Our work on this landmarked building will include façade modifications, updated window treatments, signage, and awnings, as well as updates to the interior to accommodate multiple showrooms, fitting areas, office space, and other retail essential components. Spacesmith designed the New York office for Christofferson Robb & Company, a London-based hedge fund, to align with the building's 1950's facade. The design adopts a professional, high-end attitude that mirrors the client's image: established, sophisticated, and responsible. Spacesmith conducted a feasibility study to re-purpose a former chemistry library in Chandler Hall for use as either a new classroom or innovation hub for Columbia University. The intention was to take an underutilized space of roughly 6,800 sf and convert it into vibrant, state-of-the-art classrooms or an innovation hub. The study also included the improvement of ADA access to the building. The University chose the classroom option, which will be completed by Spring semester of 2019, and includes four classrooms, facility offices, a wellness room, and support spaces over two floors. 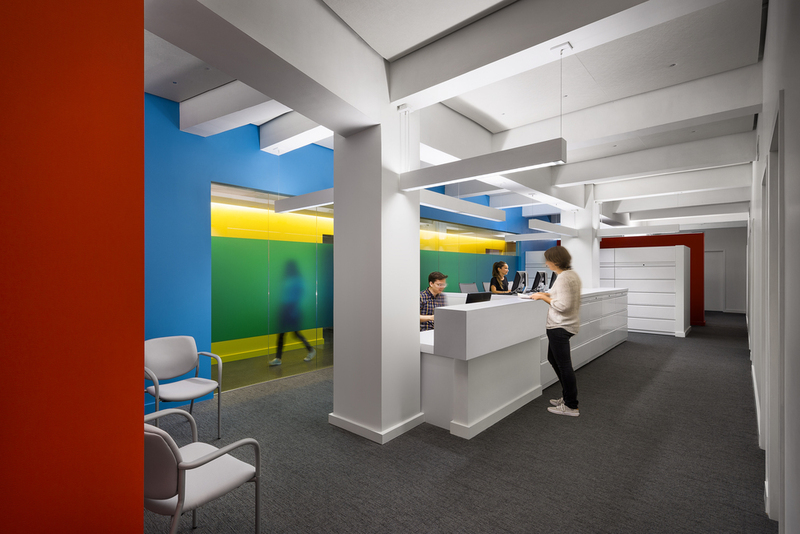 Spacesmith designed a new department in Cooper Union's Administrative Building to bring together Admissions, the Registrar's Office and Financial Aid. The goal was to create an efficient "one stop" for students, programmed to move intuitively with the registration process. 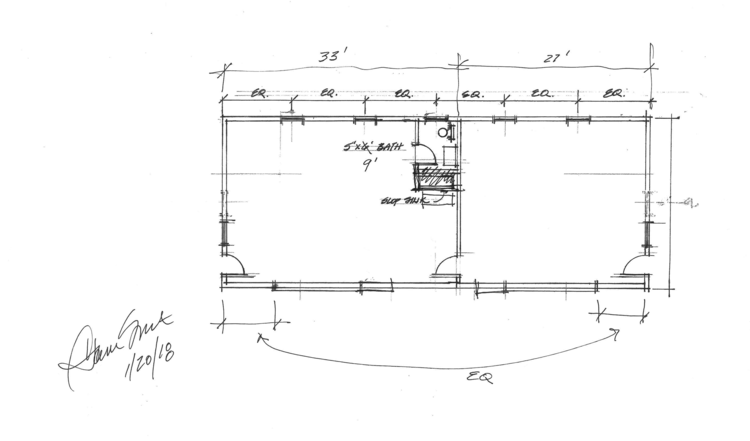 The floor was divided into three zones by installing two partial height dividing walls. Staff offices run along the periphery while student areas are kept open and free flowing in the center. Cooper Union’s colors (red, yellow, blue, and green) are used throughout to differentiate space and help with way finding. 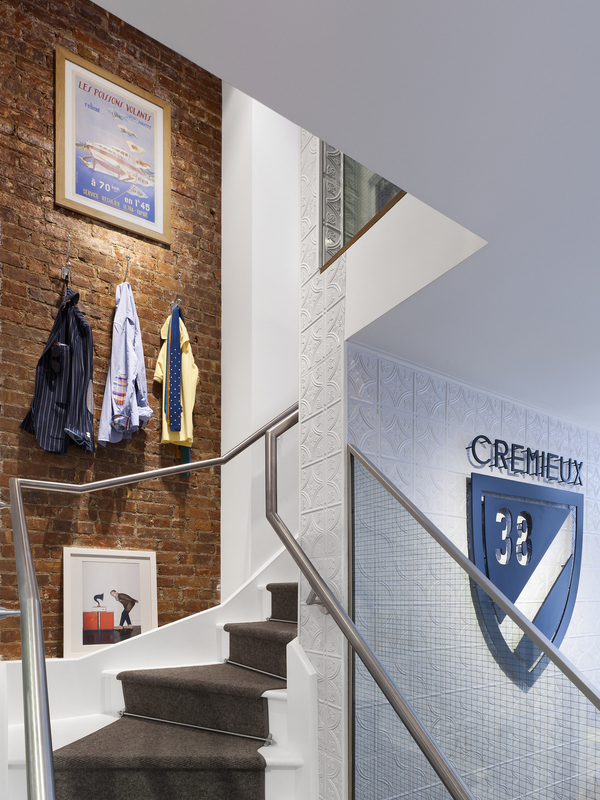 Spacesmith designed the build out of Cremieux’s first New York retail store. The challenge was to open up the two-story, 800 sf space without compromising the structural integrity. Our team replaced and enlarged windows to increase the amount of natural daylight filtering in and designed merchandise displays that include adjustable shelving and hanging racks. Designer David Meister wanted his new space to be “very modern and sleek, yet simple and elegant.” The use of natural textures, subtle change of materials, and changing ceiling heights create order and balance. This design extends to the designer’s Bloomingdale’s shop. Daytop is a not-for-profit organization providing compassionate, family oriented substance abuse treatment for adults and teens within NYC and throughout the metropolitan area. The firm engaged Spacesmith to project their program’s real-estate needs and analyze their current holdings. It was determined that Daytop would be best served by selling their space and relocating to two large contiguous floors. The challenge was to have an open work environment that still respected patient’s privacy and management’s need for confidentiality. Spacesmith restructured an underutilized penthouse space into Donna Karan’s stunning new DKNY showroom for the shoe and accessory departments. The design team worked closely with the in-house creative groups to develop, document and supervise the construction within Donna Karan’s very tight schedule. The team used modular fixtures that can be modified and re-arranged for future needs and that adapt to the environments fluctuating fashion requirements. In collaboration with partner firm Davis Brody Bond, Spacesmith designed a new entrance, connecting atrium, and 11,000 sf of office interiors for webcam technology leaders EarthCam. The project included re-cladding the existing 26,000 sf cement block building which also holds their technology and manufacturing divisions. The new 48,000-square-foot building is the largest facility in the world dedicated to building webcam technology and services. Efficient equipment was selected aimed at reducing energy consumption for the facility and is utilizing reclaimed building components and new materials containing recycled content. The achievement of LEED certification highlights EarthCam's commitment to corporate sustainability. Experience the rise of EarthCam's new headquarters through construction camera technology. On May 4, 2018, EarthCam celebrated the grand opening of its new headquarters in Upper Saddle River, New Jersey. Hundreds of the webcam technology leader’s clients, industry partners, and media personalities joined the EarthCam staff to celebrate at the day-long event, which featured a special concert by Grammy Award-winning Elvis Costello. Designed by Spacesmith with Davis Brody Bond and consulting designer Vanessa Deleon, a key feature of the renovation is a new pavilion; a 25-foot-tall LED video wall with live feeds from EarthCam locations around the world. “A luxurious leather box to showcase all our products” was Edelman Leather’s request to Spacesmith for their new showroom. The project draws from a mix of raw steel and glass to contrast with the luxurious leather product line. The concept is interactive and enhances the customer experience. Tailored, sophisticated and elegant are words used to describe the Ellen Tracy showroom. Wenge wood, steel, lacquer walls, bronze glass, mirrors and coil curtains reflect Ellen Tracy's "modern classic" brand. The offices and showroom for Edun, a progressive fashion company, were designed to be aligned with the brand's focus on sustainable, community-based projects. It was fundamental to Edun that their new home be built with the use of reclaimed and salvaged materials. In the Seagram Building, New York’s premier office building on Park Avenue, Spacesmith successfully met the project challenges to blend functional requirements with the building’s unique landmark status. ExxonMobil, formerly Mobil Oil, requested that the design adhere to their traditional corporate standards, even though the building’s character clearly demanded a modernist design approach. In addition to the standard office requirements, the program included executive offices, conference spaces, and representative offices for visiting executives. The design for the entire renovation is airy, spacious and admirably addresses the project requirements. The overall feel is definitely modernist, yet traditional in the selection of various finishes. 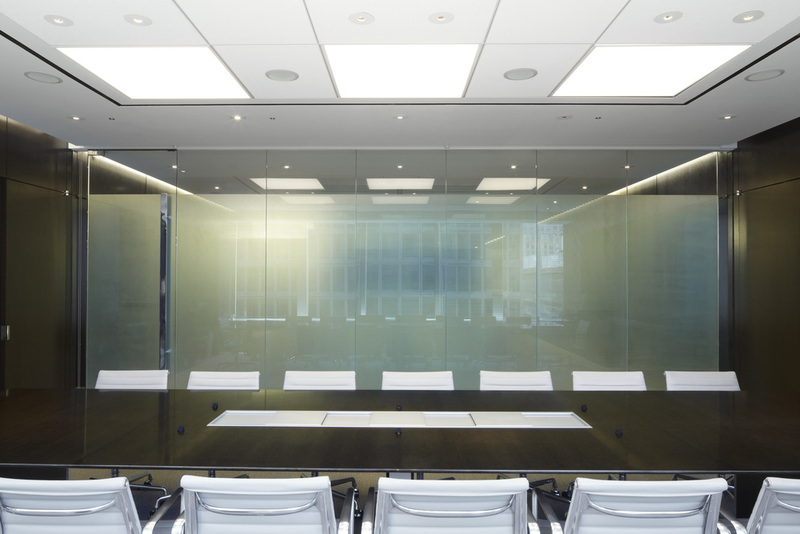 The conference rooms incorporate glass walls that repeat the rhythm and style of the exterior façade, and feature transitional furniture selections with rich and warm wood paneling. The design of the new ceiling maintains the building’s original lighting grid. George Weiss Associates Inc., a privately-held investment management operation, sought to expand its Park Avenue offices on to an adjacent floor. Spacesmith designed the new floor and the communicating stair. For ease of access, the stair is located in reception and features stainless steel railings and an adjacent glass wall. 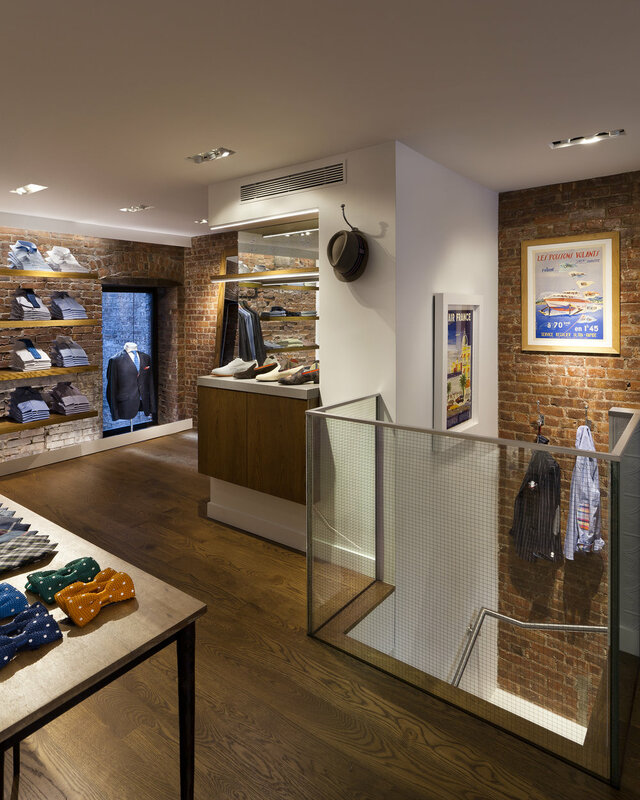 Spacesmith acted as executive architect in the build out of 100,000 sf of space in the Empire State Building, consolidating several women’s apparel brands onto one floor. Hong Kong based architecture firm B&Co’s design mimics a downtown loft, taking advantage of the 17 foot high ceilings. This project is LEED Gold Certified. 10 Halletts Point is a new, two tower (one 17 stories, the other 22) mixed-use residential development on the waterfront of Queens, NY. Spacesmith designed the public areas including attended lobby, concierge desk, two outdoor landscaped terraces, mail room, fitness center with yoga studio, resident lounge/ party room with catering kitchen, children’s play room, and leasing office. Our team was also responsible for the styling of seven model apartments. Work in progress at Halletts Point. Spacesmith continued its role as Executive Architect to Hermès of Paris in the expansion of the luxury brand’s Dallas store, working closely again with the luxury giant’s in house design team RDAI. Our team worked closely with the Paris based design firm RDAI and Hermès International, as well as the New York based Hermès of Paris project management team. Spacesmith constructed a temporary Hermès store while leading the expansion of their main Dallas store. Our team worked closely with the Hermès of Paris in-house design team RDAI and construction management team, as well as Paris based Hermès International. The design utilized proprietary modular furniture pieces to contribute to the temporary aesthetic of the store, yet maintained a high quality of craftsmanship. 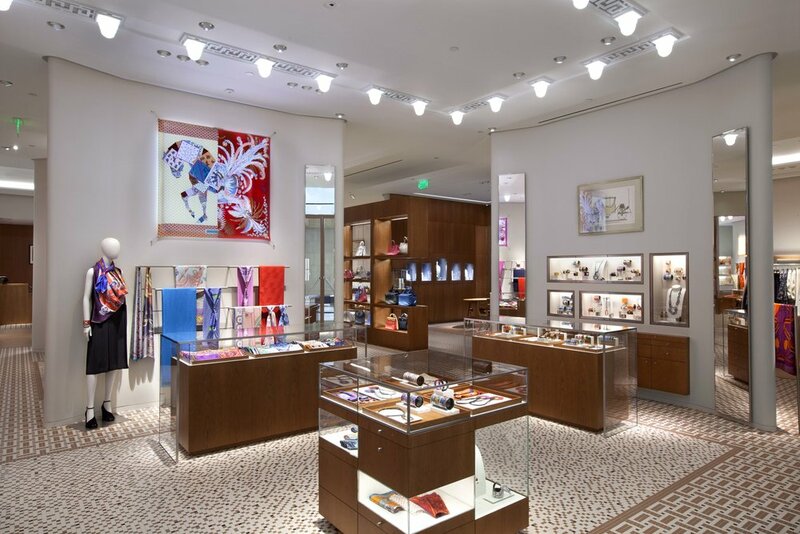 Spacesmith continued its role as Executive Architect to Hermès of Paris in the expansion of the luxury brand’s Dallas store, working closely again with the luxury giant’s in house design team RDAI. 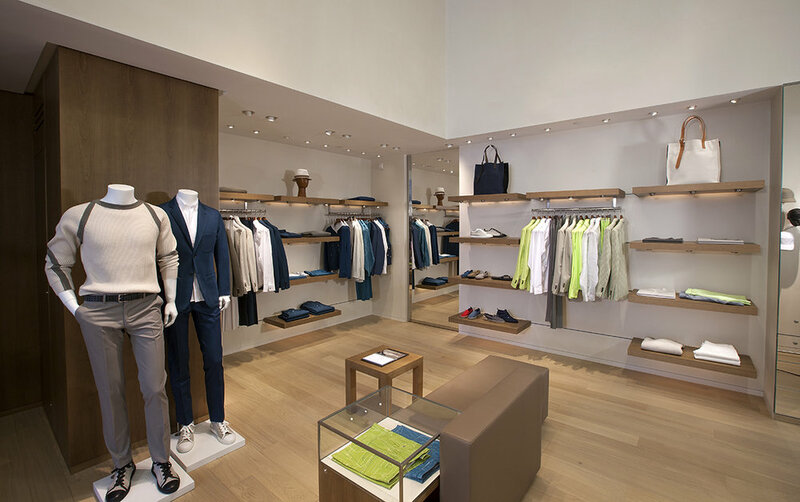 As part of a high end, single story shopping complex known as Highland Park Village, Hermès is the first retailer at this location to expand upward.” For all locations, the millwork and built-in cabinetry are custom made; fabricated in a temperature controlled environment. Hermès’ iconic mosaic tiles and cherry wood paneling mixed with Mamorino stucco panels are a part of every store design. Their iconic scarves are displayed like works of art along the walls. Hermès of Paris engaged Spacesmith in architectural services for their new retail store in Greenwich, CT. As ‘Architect of Record’, Spacesmith collaborated with the Hermès’ Paris design team Rena Dumas Architecture Interieure (RDAI). The space is housed within the Smith Building, a neoclassical structure erected in 1906, part of the Greenwich Avenue Historic District. For all locations, the millwork and built-in cabinetry are custom made; fabricated in a temperature controlled environment. Hermès’ iconic mosaic tiles and cherry wood paneling mixed with Mamorino stucco panels are a part of every store design. Their iconic scarves are displayed like works of art along the walls. As ‘Architect of Record’, Spacesmith collaborated with Hermès’ Paris design team Rena Dumas Architecture Interieure (RDAI) on the relocation of the retail store within the King of Prussia Mall, the second largest in the United States. The store’s façade incorporates another new element for Hermès; a sloped, chevron tile pattern that creates a dynamic sense of movement. For all locations, the millwork and built-in cabinetry are custom made; fabricated in a temperature controlled environment. Hermès’ iconic mosaic tiles and cherry wood paneling mixed with Mamorino stucco panels are a part of every store design. Their iconic scarves are displayed like works of art along the walls. Spacesmith continued its role as Executive Architect to Hermès of Paris in the luxury brand’s LasVegas store, working closely again with the luxury giant’s in house design team RDAI. For all locations, the millwork and built-in cabinetry are custom made; fabricated in a temperature controlled environment. Hermès’ iconic mosaic tiles and cherry wood paneling mixed with Mamorino stucco panels are a part of every store design. Their iconic scarves are displayed like works of art along the walls. As ‘Architect of Record’, Spacesmith collaborated with Hermès’ Paris design team Rena Dumas Architecture Interieure (RDAI) on the expansion of a franchise store. The scope included an extension into the adjacent space, over doubling the retail floor. Spacesmith is acting as “Executive Architect” on behalf of Hermès of Paris in the implementation of several new stores across the United States. In that capacity, we are working very closely with the Hermès in-house design team, Paris based RDAI. These projects include new boutiques, shop improvements, and temporary stores made to operate on behalf of those getting renovated. Hermès of Paris is expanding their luxury brand by launching new stand-alone perfumeries modeled as “scent libraries”. As Executive Architect, Spacesmith rendered the prototype working in concert with Hermès’ in house design team RDAI and RF Studio architects. Nestled in the heart of Brookfield Place in the World Financial Center, the curved glass façade looks out onto the main atrium. 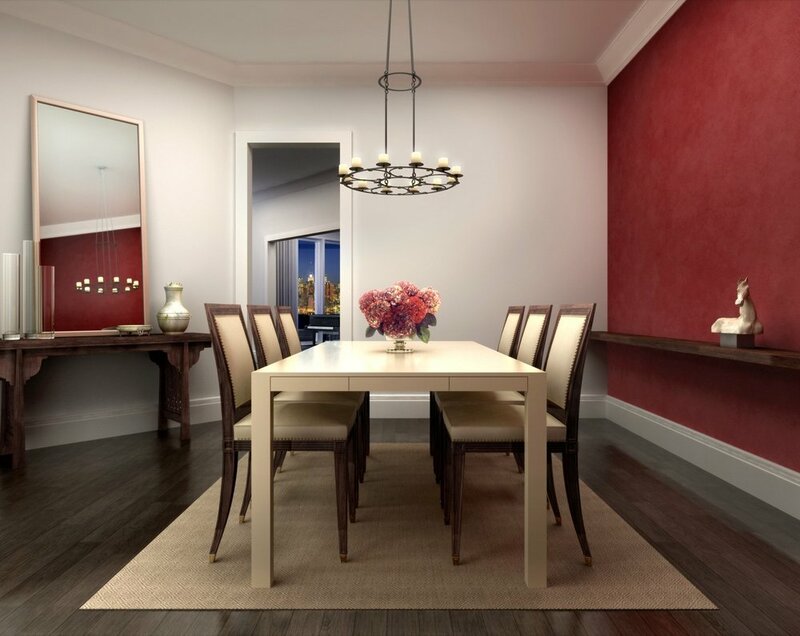 Located on the New Jersey bank of the Hudson River, this development includes close to 100 condominium units in four and five storey buildings plus 68 townhouses. Project wide interior design services were provided to develop a transitional modern approach to the new urban style of the building's exterior. Spacesmith designed a workspace for HSD Studio with open plan workstations to enable easy collaboration. The space has private offices and a modern conference room with outstanding views of midtown Manhattan and the Empire State Building. A valued feature is the communal lunch area where employees can have impromptu meetings and social gatherings. Located in Hudson, New York, the project was to house the senior center functions in a new wood clad addition. The addition was to include a multi-purpose great room ringed by clerestory windows, an art room, game rooms, administrative offices and an exercise studio. A new two story elevator, HVAC system and pantry were included in the design. The addition was designed within ADA Accessibility Guidelines. Spacesmith worked closely with the local government and historical society to realize a sympathetic and appropriate building that adheres to the context of the neighborhood and its inhabitants. Set in the heart of a thriving artist community, the Hudson Senior Center is a marriage of historic and modern values of architecture. We envisioned the project to be a 4,000 sf one and half story addition to the north face of a historic brick building currently housing the Youth Center. The goal was to bring together different generations into a connected yet separate space, each area accommodating the age specific needs of its members. The overall goal was to improve collaboration, communication, and productivity between the various teams. Simple organic and cost effective materials transformed the space from a tired, overcrowded office into a billboard for IRC. Natural light, recycled materials, and energy efficient systems were sensitive solutions that energized the work environment. Spacesmith is providing FF&E specification services for a new 25,000 sf cultural center on Manhattan’s West Side for a non-profit organization dedicated to promoting the image of Ireland and Irish America. Their multi-disciplinary programming is centered around three core areas: performance – including live music, dance, theatre, film, literature, and the humanities; exhibition – including visual arts presentations and cultural exhibitions that tell the evolving Irish story; and education – with dozens of classes per week in Irish language, history, music, and dance. 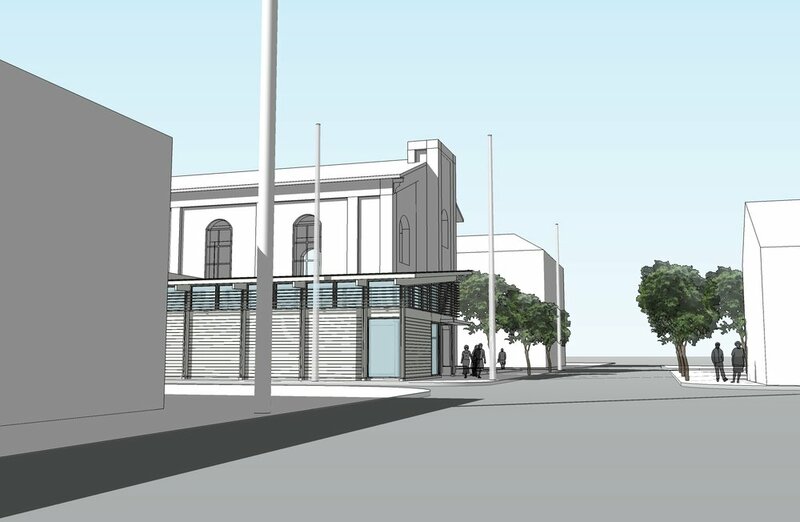 Phase 1 of a coordinated lobby renovation for the 1950s I.M. Pei Residence Towers, updating mechanical systems and accessibility while refreshing finishes: travertine walls, floor, ceiling, columns, etc. Reconfiguration of a 19,100 rsf space to include additional fashion showrooms, as well as a reception, employee pantry, and other support spaces for retail giant in design, marketing, sourcing, and distribution. Spacesmith worked with Ladurée's in house design team Panetude to implement the design of their space in Soho. The location has a tea room, full restaurant, and retail store, all decorated with customized detailing shipped from France. 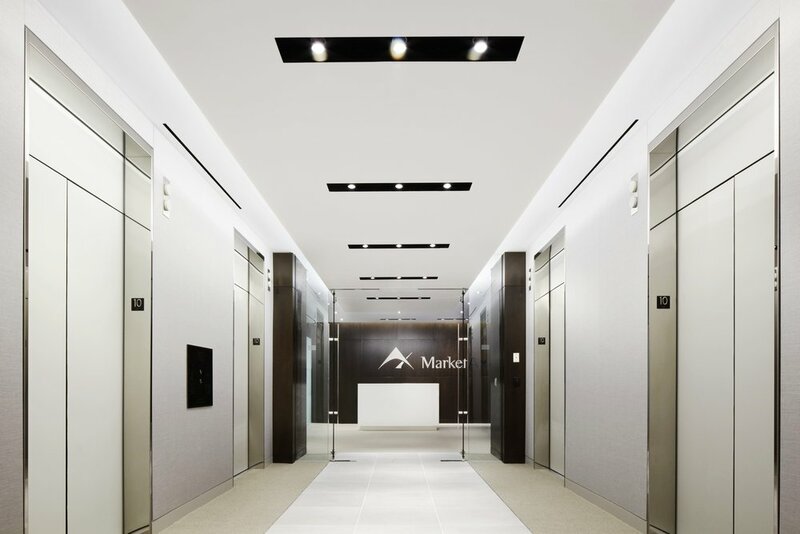 New headquarters for MarketAxess at 55 Hudson Yards, covers three floors and was designed as a result of Spacesmith's benchmarking study for this repeat client. The design is clean and modern with open workstations, private offices, and a variety of gathering spaces to meet the demands of this global provider of trading software. Located in the historic district of Georgetown, the M Street location is Ladurée’s first presence and flagship store in Washington DC. Spacesmith acted as executive architect, collaborating with design firm Panetude, and was also responsible for designing the kitchens and other back of house spaces. The three story building holds a pastry kitchen in the cellar (which also supports Ladurée’s new Union Station location), a pastry shop with café seating and adjacent dining area on the first floor, and a second kitchen for light fare on the mezzanine. The top floor of the building holds mechanical equipment. Our goal was to find a balance between the food preparation needs of the store and the costumer experience while maximizing the usable square footage. Our team coordinated with kitchen consultants on over 60 unique pieces of food service equipment from multiple countries for the pastry and dining kitchen. We also worked closely with the Old Georgetown Board and the Commission of Fine Arts during a four step process to ensure that the façade maintained the appropriate aesthetic for the district. Roof mounted HVAC equipment was located to keep sight-lines unaltered from the pedestrian friendly M Street frontage. The façade was minimally impacted by adding signage, lanterns, and moldings painted the signature Ladurée green. The first location, in the historic district of Georgetown, is enjoying its second year. Using Ladurée’s standard décor and millwork, the design of this three storey building evokes the Rococo style of Louie the XV. The second location is within DC's Union Station. Commuters can stop and grab a treat to go or sit in the terrace seating area and overlook the hustle and bustle. Working closely with Hong Kong design architect B&Co. Spacesmith was enlisted by repeat client Li & Fung Ltd. as the executive architect for the full “gut” renovation of two floors, 104,000 sf, in the Empire State Building to house their footwear division Jimlar Corporation. This project is LEED Platinum Certified. As part of an ongoing relationship, Spacesmith collaborated with global supply chain management company Li & Fung and their Hong Kong based architectural design firm B&Co. 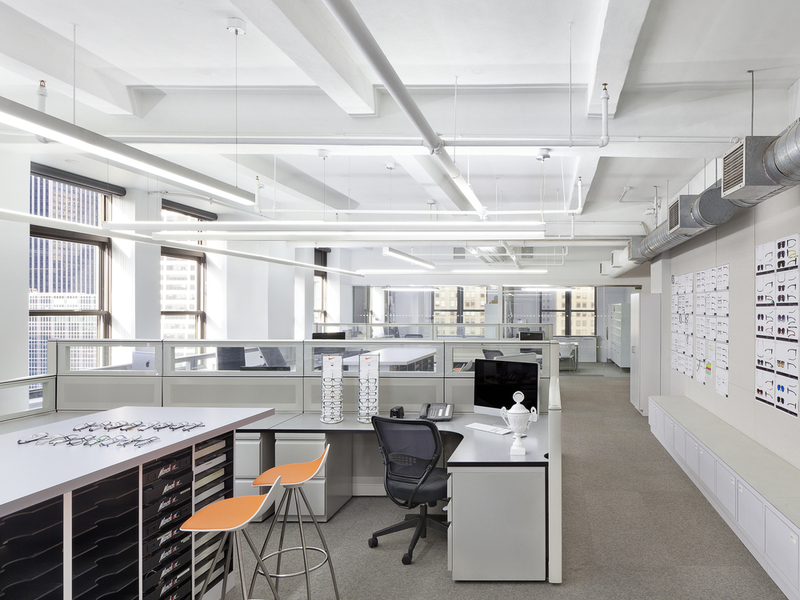 on the renovation of a 24,000 sf office at their New York offices. 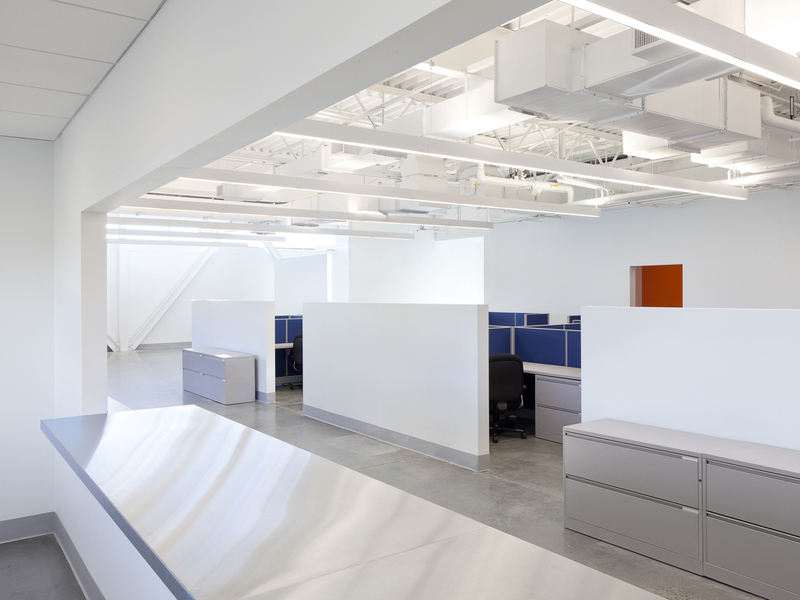 The floor holds both administrative offices and designer studios divided into clear zones. 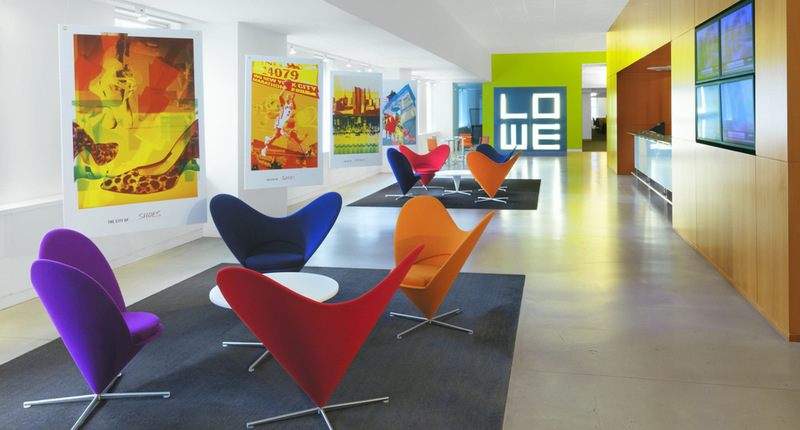 Global advertising agency and repeat client Lowe chose Spacesmith to design and coordinate their move from midtown to Soho. The agency leased a total of 50,000 sf of raw loft space on three floors. A decision was made to keep the space as open as possible, allowing natural light to stream in. Marchon is one of the world’s largest manufacturers and distributors of eyewear and sunwear. 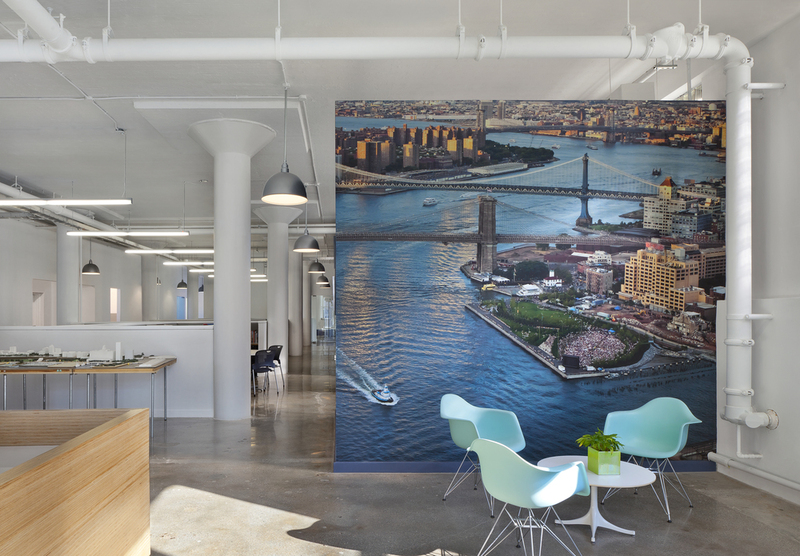 The firm engaged Spacesmith to renovate and expand the NYC headquarters. Showrooms and glass walled private offices frame the shared workspace maintaining the feeling of openness and clarity. Spacesmith worked closely with MarketAxess on their decision to relocate from Downtown to Park Avenue. The move was an opportunity to establish a fresh, updated look designed to express the MarketAxess culture and energy. The space on the whole is an elegant balance of soft grays, dark woods and walls of glass with varying degrees of transparency. 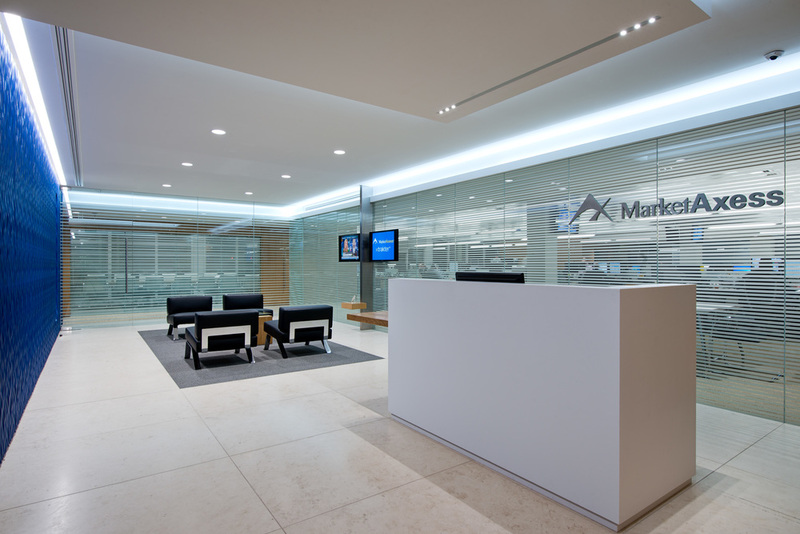 As part of an ongoing relationship with e-trading platform providers MarketAxess, Spacesmith designed their new 20,000 sf London headquarters. 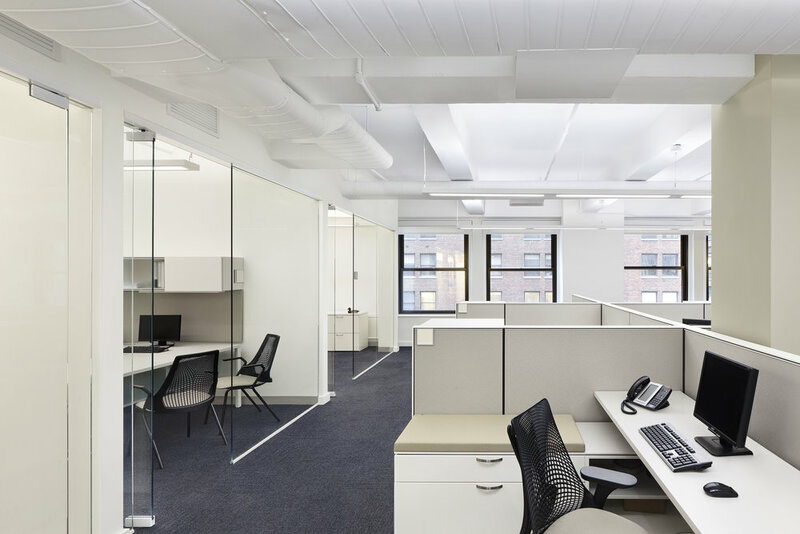 Using workplace standards Spacesmith defined for MarketAxess’ New York office, our team executed a plan with the latest workplace models for open communication and collaboration. Located in the natural beauty of the Hudson Valley, this private residence is simple and contextual, nestled on some of the most beautiful land the valley has to offer. The nearly 5,000 sf home rests on an 8 acre half meadow, half forested site with a creek running along its western most edge. Modernity is introduced with expansive full height windows and an open plan that allows the combined living and dining areas to embrace the outdoors. The house is a harmonious blending of minimalism and traditionalism which allows it to fit in with its neighbors while being completely unique. As part of our on-call contract with the NYC DDC, Spacesmith was enlisted to renovate the 2nd floor of the Brooklyn Midwood Library to improve the functionality of the children’s spaces and adjacent multipurpose room. The MTV Network directive was to create an atmosphere and a layout that was more conducive to the MTV mindset—fast and at minimal cost. The design was inspired by the youth culture of the company. The modifications were kept to a minimum, yet achieving maximum impact to support open and flexible workspace. Mulberry, the British luxury group, is entering "a new phase of development of the Mulberry brand with emphasis on international development”. Spacesmith was hired as ‘Executive Architect’ and Architect of Record for Mulberry's New York flagship store. Spacesmith provided programming analysis, design development, and a test-fit study to determine the feasibility of consolidating several unions under the NYC Central Labor Council’s umbrella into one multipurpose headquarters. LEED Gold Certified and Winner of the 2009 Brooklyn Chamber of Commerce Office Building Design Award. This NYPD Building sets a precedence for operations facilities. 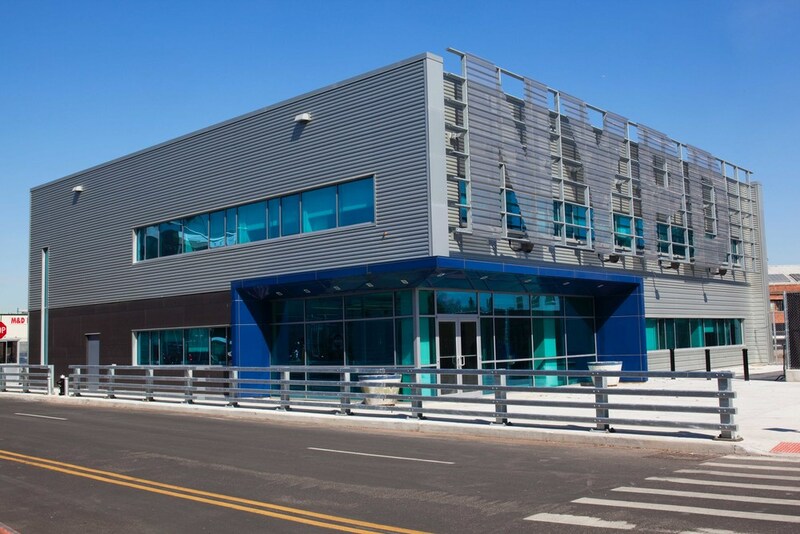 Located within the Brooklyn Navy Yard, it houses the administrative offices for the Brooklyn Traffic Agency and also serves as the redemption center for all vehicles towed in Brooklyn. Spacesmith created a healthy and sustainable workplace for employees and a calming experience for visitors reclaiming their vehicles. Standing in sharp contrast to the traditional buildings of New York University that surround Washington Square Park is the Bobst Library, designed by Philip Johnson. When Spacesmith was commissioned to expand the administrative offices on the President's floor overlooking the grand central atrium of this iconic building, we proposed a transformational design that was simple in form, bold in impact, and worthy of its surroundings. The scheme was received with delight and enthusiasm and reflected the philosophy of the university leaders to encourage progressive, cost effective and relevant design solutions. Spacesmith renovated the two story loft in a landmark building at Astor Place in downtown NYC. The residence, designed with a modern aesthetic, emphasizes an open yet ordered floor plan. The detailing is minimalist and the material palette uses simple textures. The entry into the space reveals a dramatic 12 foot tall translucent glass panel that sits next to the elegant floating staircase. Spacesmith designed Model Management’s new 8,700 sf offices in Soho. 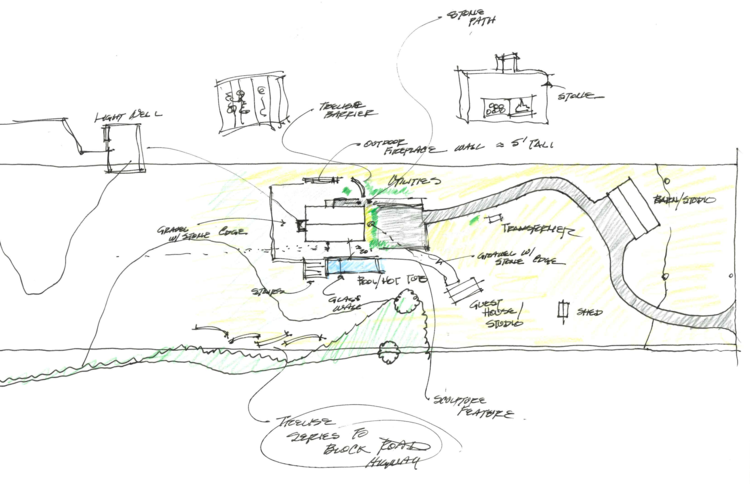 The client requested a marriage between a collaborative bull pen and private back of house functions. 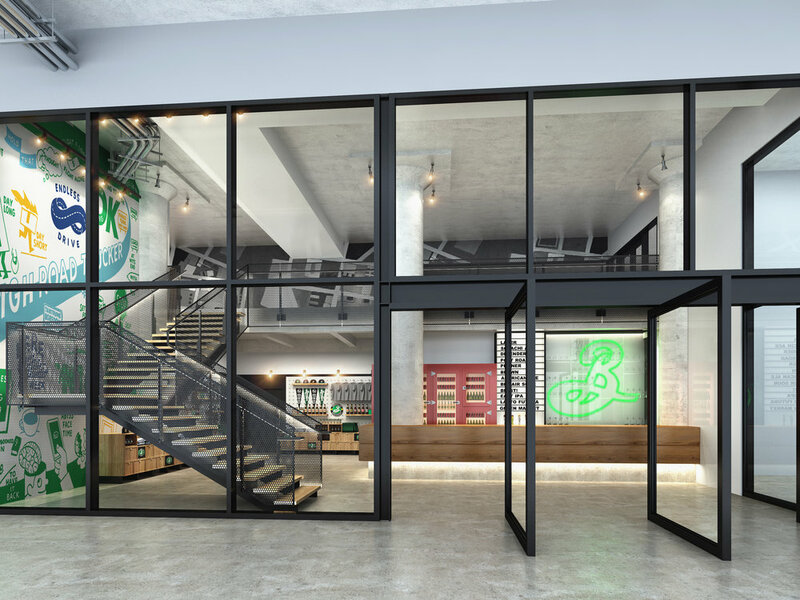 Taking advantage of the T shaped floor plan helped define programming with high traffic areas on the periphery of the cross of the T.
The NYC Taxi & Limousine Commission enlisted Spacesmith to renovate its control center in Long Island City. The project’s objective was to maximize efficiency and operations of the Woodside, Queens location. This was primarily accomplished by streamlining vehicular flow between parking and taxicab lanes. The design was inspired by the signature color and look of the iconic NYC taxicab, including a new bull-nosed coping around the roof parapet as well as retro finish accents in the public spaces. This project was developed in close collaboration with the NYC Department of Design and Construction. This LEED Silver certified design is clean and direct, utilizing an aluminum composite panel cladding system, low-e glazing, and a PVC roof membrane. The facility has a large canopy that shields the inspection stations from inclement weather and a guard booth at the main entrance. The 10,000 sf building includes a public redemption area, open plan workstations, enclosed offices, bathrooms, locker rooms, and stress reduction room. Spacesmith worked as a consultant with real estate advisers UGL to establish a strategic approach in consolidating the use of existing space throughout the current portfolio of State-owned and leased space in Albany and the five boroughs. Spacesmith delivered a work place guide to the State that includes standards for programming, strategic planning, and product delivery. This initiative has saved the State over 30 million dollars in 2014 with additional savings anticipated. Spacesmith is responsible for FF&E on a new 725,000 gsf mixed-use building to replace NYU's one-story Coles Sports Center. Our team is excited to work with design team Davis Brody Bond and Kieran Timberlake.